You are my hero. I mean that from the bottom of my heart. You literally saved my life. Your incredible dedication & caring is quite simply amazing. I have tried to “spread the word of Sarno” for the last 25 years & I hope that I’ve helped some people help themselves. I genuinely love you. You are an amazing man. I hope you are well. You deserve nothing but the absolute best in this world & beyond! I can’t thank you enough – you have changed my life. I put my back “out” about six years ago and was laid up for about 9 months until a friend recommended your book “Healing Back Pain” and I read a short write-up about your work in “Time” magazine. It made perfect sense to me, so I ordered the “Mindbody Prescription” and did what your patient recommended – I started writing everything down that I could possibly be angry or upset about. Well, at the time I thought that I was pretty in touch with my feelings because I had been in Primal Therapy since 1980. But I just started writing anyway and ended up with 2 full pages – LOL!! What came out was that I had been trying to be the good wife to my husband and was completely unaware of what I wanted. So, within two days I was out of bed (scared out of my mind, of course, thinking I’d end up in a wheelchair) and haven’t looked back!! I have been pain free since then!! And I had it bad – sciatica pain down my right leg and one of my little toes was completely numb. All gone!!! But the really cool thing aside from the back pain is that I have been using your method for everything now – if I feel like I’m getting sick, I either write down or just think about what it is that I’m not looking at. And then I don’t have to get sick. It’s incredible!! So, you have changed my life – like I said, I can’t thank you enough!!!! All the best to you- enjoy your retirement!! From the time I was eighteen to the age of twenty-one I suffered with debilitating back pain. I couldn’t get out of bed some days. I had to stop doing all the physical things I loved like training in the martial arts. The “doctors” (and I had many) told me I had slipped discs, herniated discs, degenerative disc disorder, twisted spine, pinched nerves and sciatica. I went to every different kind of doctor, surgeon, chiropractor, acupuncturist, and faith healer you can imagine. By the time I was twenty-one I was clinically depressed because of my pain and contemplating suicide, which I felt at the time would be my only relief. Then I found your second book Healing Back Pain. Two weeks later I was completely pain free and twenty years later I am still pain free. I am also a much healthier person in general than I have ever been thanks to what I learned from your book. As far as I’m concerned you are a genius and you saved my life. Those that have never suffered the pain I suffered and realized the miracle of your treatment will not understand what a treasure you are for humanity, but I know. When you said, “Don’t listen to your doctor, do the things you love and don’t be afraid of pain” it was as if a divine light went off in my head. I felt that finally there was a doctor that knew what he was talking about and wasn’t just trying to sell me drugs and surgery. Your concepts of TMS saved my life and as a result I was able to save another person’s life. A friend of mine was randomly complaining about her constant back pain that had been plaguing her for some time. Her doctor told her the same hogwash they told me; slipped discs and jargon. I told her my story and explained to her your theories of TMS. She accepted them and a week later she was pain free. That’s all it took to help someone else! The truths you discovered are radiating out into the world and saving people from unnecessary suffering. Whether you are ever acknowledged by the half wits in the medical community or not, you are a saint in the hearts of thousands, and someday millions, of people throughout the world. You will go down in history as a true healer and that legacy is well deserved. Thank you Dr. Sarno. Thank you for being brave and putting the health of your patients above the money you might have made selling drugs and surgery. Thank you. I am forever in debt to you. The following is Woojin’s original letter to Dr. Sarno written in Korean, his native language. An English translation of his letter is below it. 저는 한국에서 두 아이를 둔, 한의사입니다. 2012년 겨울 무렵부터 아프기 시작한 허리가, 2013년 5월경부터 심하게 아파지기 시작했습니다. 병원에 가서 진단을 하니, 허리 디스크라고 하였습니다. 직업이 한의사라, 친구,선배들 한의원 다니며 침과 한약으로 치료도 해보고, 양방병원 치료도 여러 방면으로 해 봤으나 그리 큰 효과를 보지 못했습니다. 여름에는 가벼운 윗몸일으키기를 하다가 흉추부위(등허리)에서 “뻑”하는 소리와 함께 숨쉬기 힘들정도로 고통스러웠습니다. 이때부터 고통의 시작이었던거 같습니다. 이후 경추부(목) 통증도 새로 생기도, 팔꿈치, 손목, 무릎, 발목 등, 몸의 큰관절들은 다 고장이 난 듯 통증이 심했습니다. 2013년 11월 경부터는 통증이 더 심해져 집에서 꼼짝없이 누워있기도 했습니다. 서 있기도 힘들었는데, 당시에는 하루에 서너차례 집앞 공원 산책정도만 했습니다. 그 무렵 둘째 딸도 태어났지만, 아이 안기도 힘들어서 너무 괴로웠습니다. 병원 검사도 몇 번 더 했습니다. 증상의 양상이 강직성척추염(ankylosing spondylitis, bamboo spine)이 의심스러워 두번이나 검사를 해봤으나, 아니라고 진단받았습니다. 통증은 심한데, 진단상 그리 심각해 보이지 않는다는 얘기만 들었습니다. 그렇게 겨울을 지내면서 단지 재활이라고는 공원 산책만 했습니다. 크게 차도를 보이지 않아, 굉장한 실망감과 우울감, 가족들에게 미안함으로 힘들었습니다. 게다가 더 심해질 것 같은 공포감도 컸죠. 어느 날, 친구가 읽어보라고 선물해준 사노 박사님의 책, “The divided mind” 를 읽게 되었습니다. TMS라는 자가진단을 내리고, 책을 읽고 걷기 시작하는데, 정말 놀랄만큼 통증이 줄어들었습니다. 걷기도 수월해졌습니다. 너무 놀라워서 책을 꼼꼼이 정독했습니다. 그 이후, 걷는 시간과 강도를 늘리고 있습니다. “reservoir of rage”의 개념을 받아들이는 것만으로도 통증이 많이 줄어 너무 놀랍습니다. 2014년 4월 2일이 제 인생의 터닝포인트 날입니다. 이젠 희망이 생기고 즐겁습니다. 비록 멀리 한국에서 편지를 쓰지만, 사노 박사님께 무한한 감사와 존경을 드립니다. 누나네 가족이 볼티모어 살고 있어서, 지금 할아버지, 할머니, 제 아들 셋이 여행을 갔습니다. 그 곳에서 제 부모님과 아들, 누나네 가족도 사노 박사님께 감사해 하고 있습니다. 미국에 가게 된다면, 꼭 박사님을 뵙고 인사드리고 싶습니다. 행복하고 건강하게 사시길 기도합니다. The following is the English translation of Woojin’s letter to Dr. Sarno. 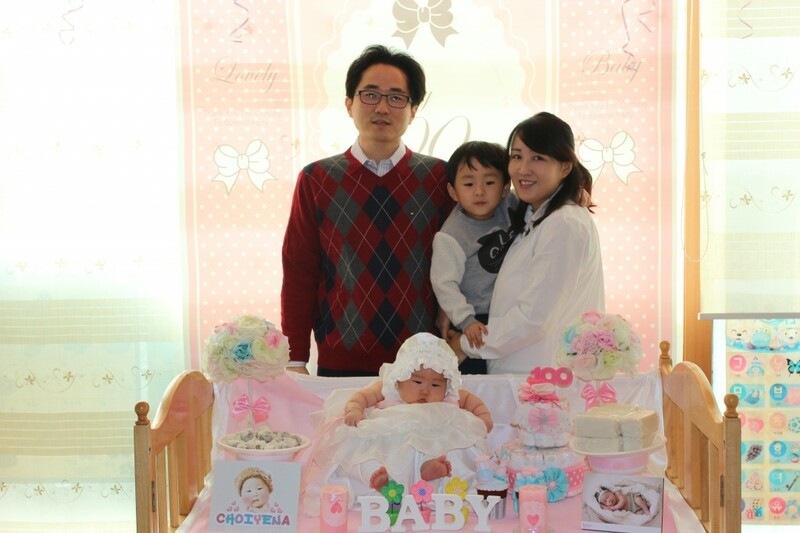 I am a herbalist/oriental physician in Korea and the father of two small children. I started having back pain since Winter 2012, and it grew severely from May 2013. My doctor said it’s a disc herniation. Since I’m a physician of oriental medicine, I went to numerous famous acupuncturist and herbalist but did not see much improvement. In Summer 2013, I heard a breaking sound in my upper back (thoracic area) while doing sit-ups, and a literally “breathtaking” pain started. I think this was the beginning. The pain appeared in neck, elbows, wrists, knees, ankles as if all the important joints are all broken. I could not even move but just stayed home because of the pain since November 2013. The pain was so severe that it was hard to even stand still. I could barely walk around my house for short 3-4 times a day. My daughter—the second child—was born around that time, but I could not even hold her in my arms because of the pain. I had several more medical inspections. The symptoms were similar to ankylosing spondylitis, and I went through a complete medical examination for it twice. The results were, however, negative. I was only heard that the results do not show anything significant although the pain is severe. I could only do some promenade around my house for a rehabilitation that winter. As there was no improvement, I was very disappointed, depressed, and sorry for my family. And the fear—what should I do if the pain grew more and more?—was enormous. One day, my friend bought me your book “The Divided Mind.” I diagnosed myself as having TMS. I started walking right after finishing your book. Gosh, the pain was significantly less. I could walk easily. It was really surprising, so I read your book with care again and again. I am increasing the walking time and distance little by little. April 2, 2014 is the turning point of my life. I now have hope and am ready to enjoy my life. I can only send you this letter at the other side of the globe, but I give you sincere thanks and respect. My parents and my son are visiting my sister’s family in Baltimore now, and they thank you very much for your work and how it helped me. If I have a chance to go to the States later, I really want to meet you in person. I pray you stay happy and healthy.